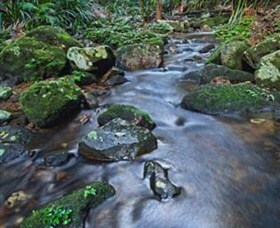 Located in World Heritage Nightcap National Park, Protesters Falls is a must see while exploring the Lismore Hinterland. 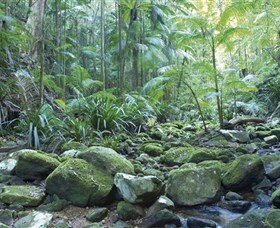 The easy walk from Terania Creek Picnic Area winds its way through the bangalow palm forest to the base of the falls. Swimming is not permitted in the area as it is home to the endangered Fleay's barred frog. Protesters Falls and Terania Creek is home to the first successful anti logging protest in 1979. For more information please call The Lismore Visitor Information Centre. 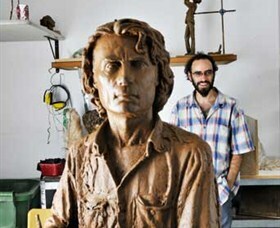 Damien Lucas offers sculpture and tuition in the modern tradition. Commissions and sales for sculpture in various mediums and applications are available. Portraiture, figurative and abstract pieces for indoors and outdoors are on display. Damien's studio is centrally located in Lismore and he welcomes and encourages those interested in sculpture to drop into his studio. Damien teaches a sculpture process called 'Life Study' at the Myocum School of Sculpture near Byron Bay. This means works are modelled directly in clay using a live model as a study. Damien promotes a focus on the observation and awareness of natural form. He also teaches workshop classes at both Myocum School of Sculpture and at Damien Lucas Sculpture School in South Lismore. The Aboriginal Art Gallery space at Lismore Visitor Information Centre features artworks by high profile and emerging Aboriginal artists. 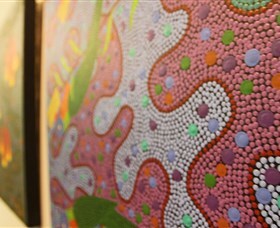 Rotating exhibitions include contemporary Aboriginal art from artists of the Bundjalung nation. Learn about the Aboriginal culture of the traditional land owners of the Lismore area, Bundjalung People, through the interpretative panels in the centre. These panels include information and images of sites of significance you can visit, dreaming stories and a past to present interpretation of the history of Lismore. The Lismore Memorial Baths were reopened in September 2005, after more than two years of redevelopment work. The multi-million dollar aquatics facility sets a new benchmark on the Northern Rivers. The Memorial Baths not only provides a great place for families and the community to enjoy their leisure time, they also cater for the more serious swimmers. The facility meets international specifications and is capable of hosting major events. State of the art equipment includes an electronic timing system available for major swimming carnivals and a moveable boom for short-course events and multi-programming. 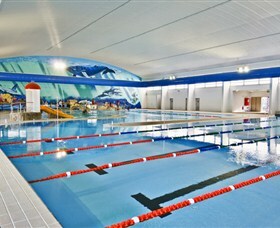 The Memorial Baths complex has the following features: heated outdoor pools, eight 50 metre lanes, four 25 metre lanes, toddlers' pool with beach entry, spacious men's and women's change rooms, four disabled change rooms, two family change rooms, a Cafe and Swimsations - quality swim school. Serpentine Gallery is a local artist's initiative dedicated to showcasing the diverse artistic creations of local emerging artists. The gallery supports artists of all mediums and is dedicated to building a strong artist community in the Northern Rivers. The gallery has approximately 180 artists on their register and supports all styles of art. 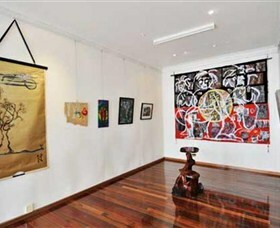 The gallery has been operating since 2006 and has developed a reputation for displaying emerging artists who are still raw, who are not affected and are freely expressing themselves. Serpentine Gallery has children's art workshops and activities held on a regular basis and life drawing classes are held every Tuesday and Saturday. For more information on the exhibitions and workshops please call the gallery or visit their website. Lismore Regional Gallery presents energetic and thought provoking exhibitions and events for the enjoyment of locals and visitors. 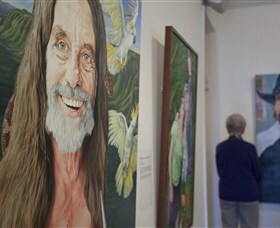 The Lismore Gallery's collection features significant Australian artists such as Margaret Olley, Lloyd Rees, Albert Namatjira, Thea Proctor and Kevin Connor, and well-known artists from the Northern Rivers region such as Jan Davis, Michael John Taylor, Patsy Hely and Tony Nankervis. Housing a fine permanent collection of paintings, pottery and ceramic pieces, the gallery also features changing exhibitions by local and touring artists. 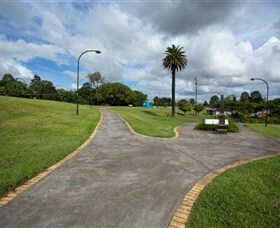 The Lismore Regional Gallery was officially opened on 26 October 1954 and is the third oldest regional gallery in New South Wales. 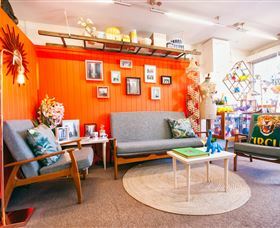 In Lismore's wide boulevards, side-streets, alleys and arcades you'll find antique, vintage and retro stores that are filled with fabulous and unique collections of old wares, vintage and retro fashions, furniture and uber cool 'stuff', more than enough to excite and inspire your inner hipster. Rummage the local markets to get a pre-loved or handmade bargain including the Lismore Vintage Market (Fourth Saturday of each month), Lismore Handmade Market (First Saturday of each month) and the Lismore Car Boot Market (First and Third Sunday of each month). Follow the Lismore Arts, Vintage and Retro Trail to meet the wonderful artists and collectors of vintage and retro and you might take home a special piece of the Northern Rivers. Download a copy of the Arts, Vintage and Retro Trail from the web site, or pick up a brochure at the Lismore and Nimbin Visitor Information Centres. 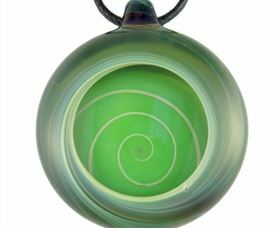 Alan Ussher designs, creates and sells beautiful artistic and functional glass art pieces at his glassblowing studio in South Lismore. If you are interested in handcrafted jewellery making and looking for jewellery beads, Alan has a myriad of designs that have evolved over the years. You can choose to have them loose, on sterling silver, rubber or waxed cotton cord. Alan also creates wine glasses, brooches, beads, perfume bottles, marbles, hairpins, rings, piercing jewellery, hanging ornaments, coloured guitar slides, teapots, spinning tops and much more. He also does custom orders and repairs on borosilicate glassware. The studio is open to the public and Alan has many pieces on display at a range of prices. Visitors to Lismore are welcome to drop into the studio where they are welcome to shop for unique gifts or to watch him work and create his glass creations. A stroll along the river walkway reveals an outdoor museum unlike any other in the area. Interpretive sites, public art installations, native landscaping, and parkland facilities all link to create a unique setting for you to explore the historic, cultural, artistic, and recreational fabric of life along the banks of the Wilson River. There are three interpretive panels to visit, featured in a series of heritage story sites along the riverbank. 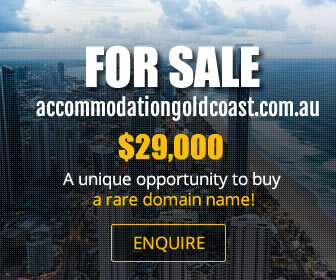 The sites are called 'Galamah - Living Together,' Mirring - River Crossings' and 'Burbang Mah - Gathering Place'. The Galamah panels tell some of the story of pre/post European settlement, and are installed not far from where the first European settlement was built, near a former permanent campsite of the Widjabul people. The Mirring panels focus on the river and how it has been used by both cultures. The Burbang Mah panels highlight community celebrations through time. Come and discover the hidden underground street art culture of The Back Alley Gallery in Lismore. The Back Alley Gallery is transforming the laneways of Lismore; you cannot walk down the streets without finding something new on the walls. There are over sixty artworks including large scale murals, graffiti art, paste ups, stencils and installations. This outdoor art gallery is here for the community to enjoy and to see that street art is alive, thriving and an important part of the local art scene. 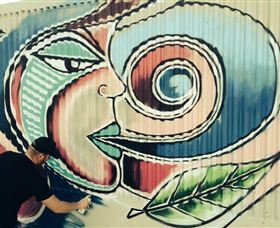 Over twenty five artists have featured to date on the laneway walls and come from Lismore, Nimbin, Byron Bay, Murwillumbah, Coffs Harbour, Brisbane and Germany. This project is part of an ongoing initiative by the Lismore Business Promotion Program which aims to revitalise the city centre, including the laneways. For more information contact the Lismore Visitor Information Centre. 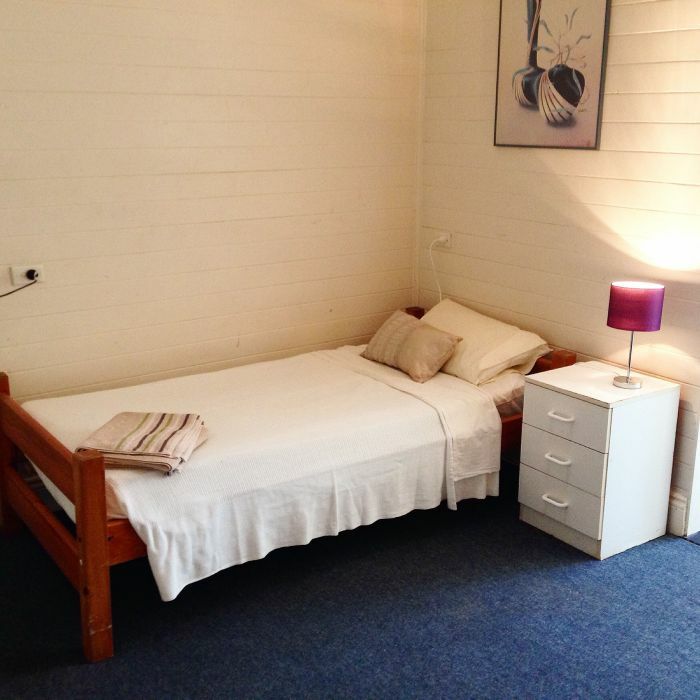 Art Aspects Gallery specialises in Northern Rivers artists. The aim of the gallery is not only to support local established and emerging artists, but also to give people from Lismore and the surrounding area the opportunity to buy fine art and gifts from over 50 local artists, with displays changing regularly. For a pleasant cultural experience when you are in Lismore, be sure to visit Art Aspects Gallery: glass art, paintings, bronzes, limited edition prints, sculptures, fabric, art, jewellery, ceramics, porcelain, silk, wood, mosaic, Australiana, metal works, textiles and gifts. Patient nature lovers may spot a platypus at Rocky Creek Dam. The dam wall is 27 metres high, 187 metres above sea level and, when full, the dam holds 14,000 mega litres of water. 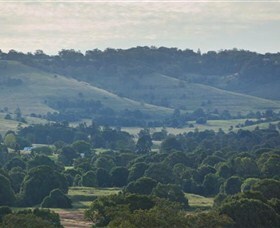 The 29 square kilometres of catchment area include sections of Nightcap National Park, Whian Whian State Forest and revegetated farmland. The dam has a platypus viewing platform, elevated boardwalk and pontoon bridge. There are picnic and barbecue facilities with wood supplied, benches, tables and children's play equipment. 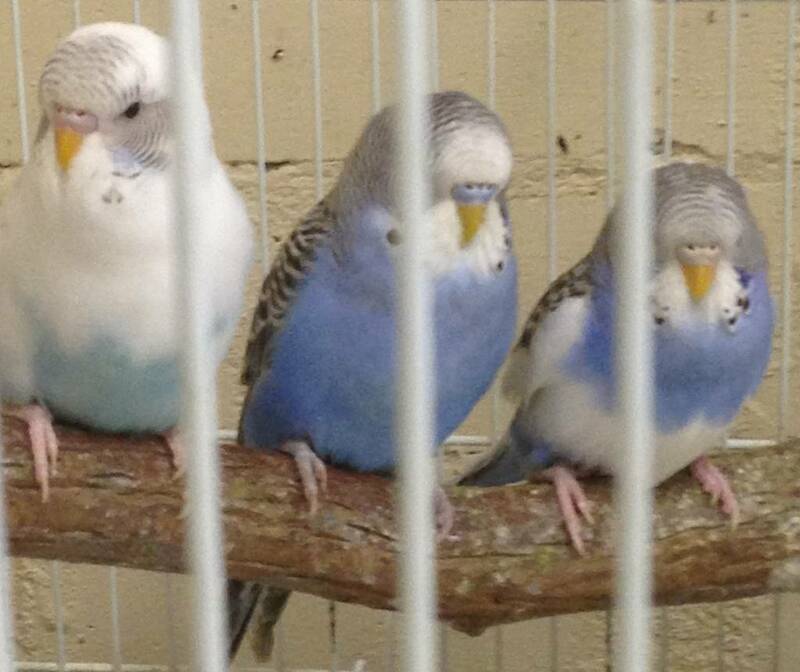 Four walks are available, ranging from 1.2 kilometres (20 minutes) to six kilometres (two hours) in length. Water Dragon Walk takes you up the hill to the lookout. Platypus Walk goes alongside Rocky Creek and back across the dam wall. Cedar Walk takes you towards the edges of the Rous Water Rainforest Reserve. Scrub Turkey Walk passes through tall a variety of forest environments. 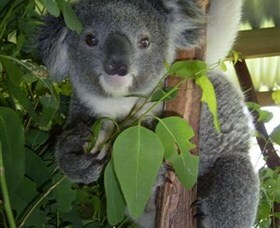 The Lismore region has one of the highest populations of koalas in NSW. It is not unusual for people to have koalas roaming through their backyards. Nevertheless, the pressures of disease, habitat loss and degradation, road traffic and dog attacks are inflecting a heavy toll. Lismore - based Friends of the Koala has cared for thousands of Koalas from across the Northern Rivers region for over 20 years. Most of these Koalas have spent some part of their rehabilitation in the group's Koala Care Centre, itself situated in an established Koala corridor in Rifle Range Road, east Lismore. An entirely voluntary organisation, friends of the Koala welcomes visitors to the centre for guided tours on Monday to Friday at 10am and 2pm, and at 10am on Saturday. For more information please call the Koala Care Centre. The Goonellabah Sports and Aquatic Centre offers a new level of leisure and recreation activities as well as access to state-of-the-art facilities and equipment. This unique facility offers something for everyone. Features of the centre include a multi-purpose stadium, an aquatic centre, fitness centre, multi-purpose youth space, Goonellabah Meeting Room and a cr�che. The Bexhill Open Air Cathedral is located at Inspiration Point, Bexhill, and overlooks the Corndale Valley with views of the Nightcap National Park in the distance. The panoramic view from the Open Air Cathedral makes it a popular spot for outdoor weddings or just a quiet place to sit and ponder. The Bexhill Open Air Cathedral was built by the Bexhill Christian Youth Fellowship and dedicated on Palm Sunday 1958 as a place of Christian worship. The Cathedral has been maintained by the Christian Church for over fifty years, and both the Open Air Cathedral and the Church of the Good Shepherd which is only a few hundred metres down the road, are open to all branches of the Christian Church for weddings, baptisms, funerals and other worship services. The Bexhill Open Air Cathedral is just 15 minutes from Lismore.